Posted on March 8, 2018 at 2:52 am. Accurately measure the area to be tiled, and double check the measurements. Normally, 10% of wastage is required for tile purchase. You might want to keep a few tiles to replace any damaged flooring. Remember that bigger tiles will use less gout. Dry lay the tiles (space them out on the floor) in advance to see how they look and how well they fit together on the floor. Waterproof showers and wet areas before you tile them. Always seal natural stone surfaces that are to be covered in tiles. New types of grout (epoxy) will prevent almost all issues with mould. Ensure that tiles are dry and dust free before putting in place. This prevents issues with loose or uneven tiles latter on. Use tile spacers to ensure that the spaces are even. These are available in variants between 1mm and 3mm. Spacers can be cross shaped and T shaped for corners. Make sure the area is well lit, so you can see any imperfections or tile alignment issues as early as possible. If you need to cut tiles you will need a wet wheel tile cutter. These are a little pricy, so unless you intend to install many tiled floors it is better to rent one. Mark where the tiles need to be cut with a grease pencil. If you need to drill holes in a tile it is best to use a diamond tipped bit, which are more accurate than a masonry bit. Other types of bit are no at all appropriate. Clean tools and materials outside with a garden hose. Do not use a sink or the grout will clog the drain. Apply silicon to any edges where the tiles meet a skirting board. This allows for temperature expansion and contraction. We have the cheapest tiles Sydney has on offer. 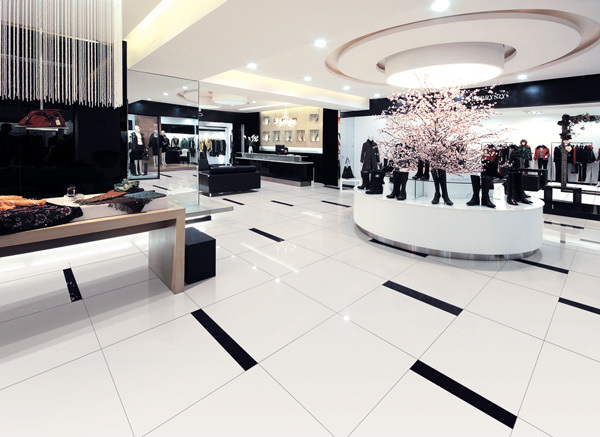 Enjoy our incompatible price and quality tiles.